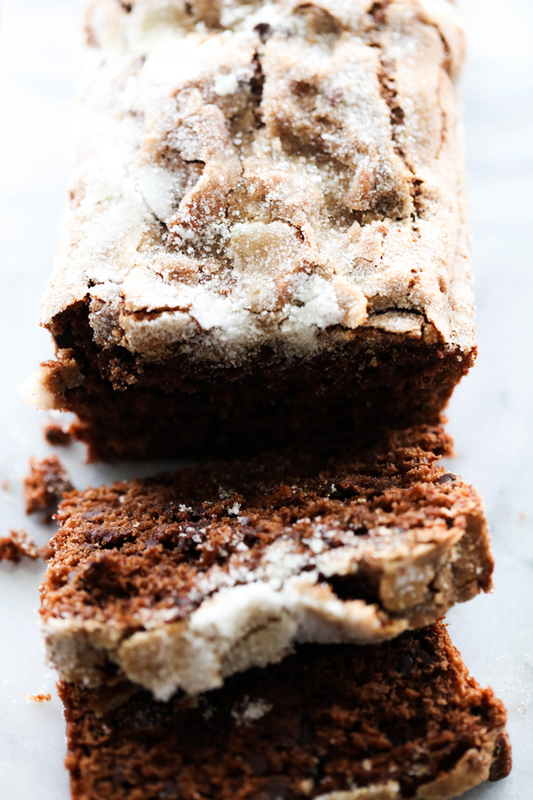 This Best Ever Chocolate Banana Bread is perfection. The bread itself is moist and tastes incredible. The banana and chocolate come together beautifully to create a new staple recipe to be made again and again. The sugar crusted topping adds so much texture to each bite. 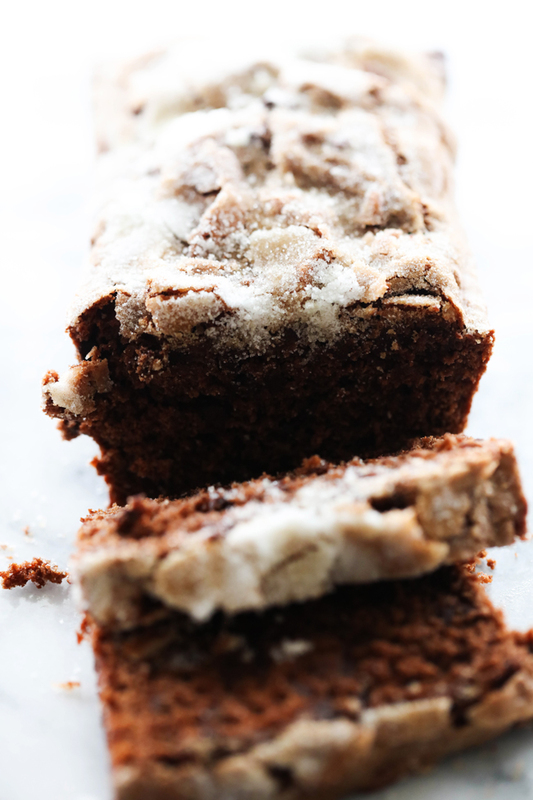 This is truly the best of the best when it comes to chocolate banana bread recipes! Spring is here… kind of? Sometimes its nice weather, other days it is still snowing and we are back to our winter gear and snow boots. On the cold days I love to bake. It makes me happy despite the weather missing the memo that it is in fact April. Mid April at that. One fruit all my kids agree upon are bananas. We are constantly stocked up with bananas at my house and I usually buy enough to know that we will have 3-4 left at the point they start getting brown spots just so I have an excuse to make banana bread. I’m not joking when I say banana bread gets made almost weekly at my house. My whole family goes nuts for it. 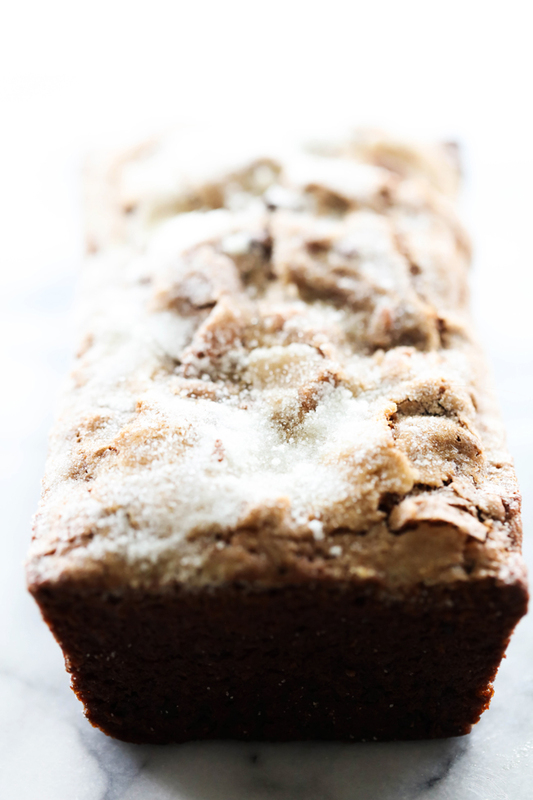 This Best Ever Banana Bread is adapted from my Chocolate Banana Muffin recipe on the blog. Instead of muffins, why not make it into an entire loaf?! You guys. If you have not tried this recipe, stop what you are doing right this very second and make it. That sugar crusted topping is unbelievably delicious and perfectly pairs with the moistness and softness of the bread. The chocolate banana flavor is on point and it has little chocolate chips melted throughout. This will become a new staple at your home. Spoon batter into two greased 8x4 inch baking pans. Sprinkle the top of each loaf with about ⅓ cup sugar to cover. Bake for 35 to 40 minutes at 350 degrees F.
I just can't go wrong with your recipes ! Thank you for this one !